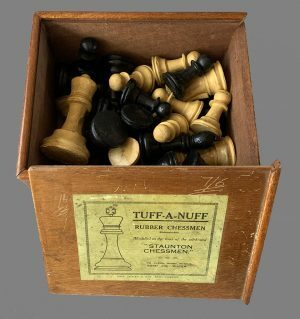 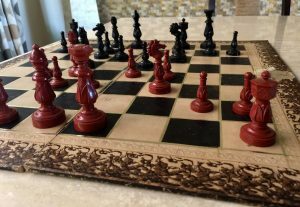 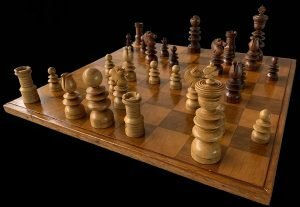 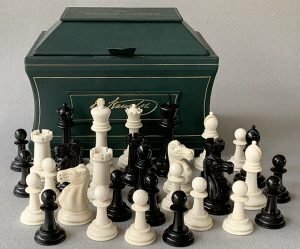 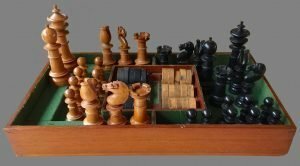 The House of Staunton Antiques and Collectibles features the World’s largest selection of Antique and Vintage Chess sets. 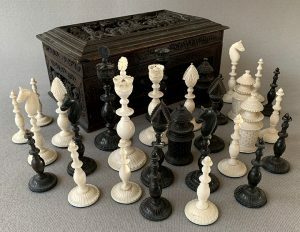 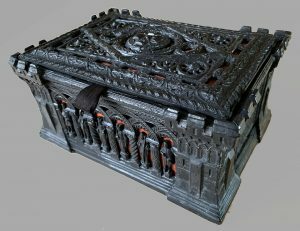 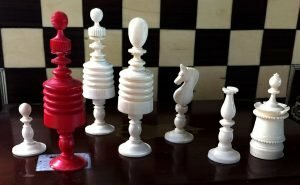 Here, you will find Staunton, pre-Staunton and figural chessmen in wood, bone, ivory, Catalin, Bakelite, Xylonite, Wedgwood and other ceramic, porcelain, glass and Crystal materials. 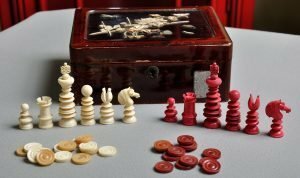 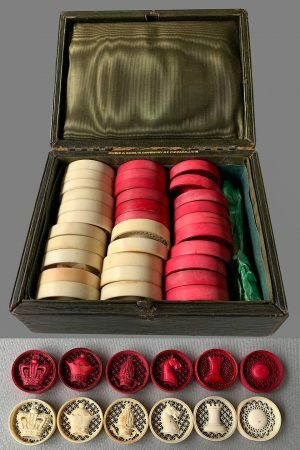 Antique chess sets and games shown here were offered by such manufacturers as Wedgwood, John Jaques, F. H. Ayres, B & Company, British Chess Company, William and Thomas Lund, George Merrifield, John Calvert, Rihard Whitty, Hezekaih Dixon, Edward Henry Corbould, Baruch H. Wood, William T. Piney, William F. Drueke and others, as well as numerous antique chess sets made by manufacturers yet to be identified. 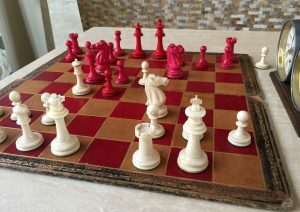 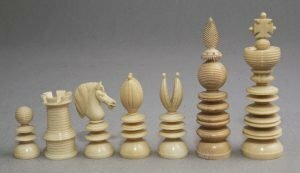 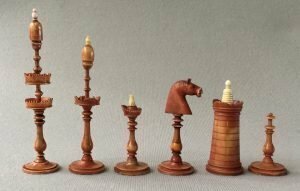 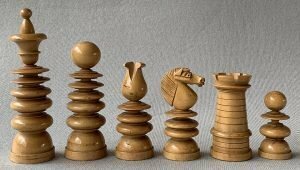 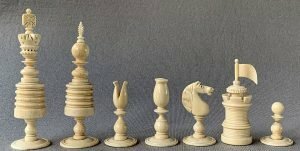 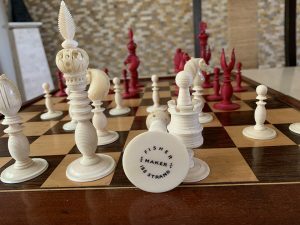 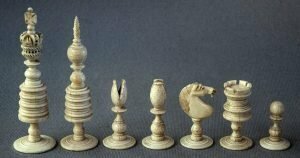 Rare, modern and other collectible chess sets, including one-of-a-kind masterpiece by Oleg Raikis. 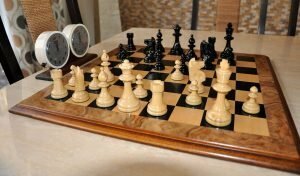 as well as Luxury and Premium chess sets, can be found in other sections of this web site.